You will need to factory reset the camera and begin setup from the beginning. You are not able to change the username or password in the camera, as the existing login information is invalid. Step 1: On the bottom of the camera locate the hole in the bottom of the camera marked RESET. Step 2: Using a paperclip or similar object to press an hold the RESET button for 30 seconds. Step 3: The camera will start to pan and tilt within 30 seconds of the reset. Step 4 Wait 90 seconds before beginning again. Step 2: Press and hold the reset button for 30 seconds then let go. Step 4: Wait 90 seconds before beginning again. Connecting to your Insteon Wi-Fi Camera when you are away from home requires a reliable connection to your home's internet router. Use the information in this article to learn about configuring your camera for reliable away-from-home access. To connect to your camera when you are away from home, you need to know your home router's IP address. This information can be obtained by visiting this website. Use this internet-facing IP address when you are trying to access your camera from outside your home Wi-Fi network. With most internet providers, your home IP address is subject to change. Consequently, relying on the numerical IP address for accessing your home can be problematic. While some IP addresses may stay the same for months, some may be renewed as frequently as every hour. Insteon Wi-Fi Cameras support several Dynamic DNS services that help mitigate this issue. 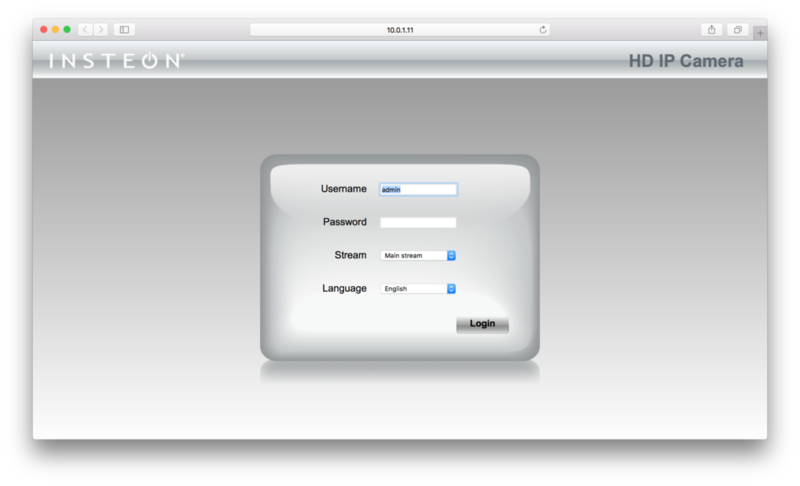 Adding your Dynamic DNS Service account to your Insteon Wi-Fi Camera can only be performed using the web interface. Select DDNS Service Settings from the left sidebar, choose your DDNS Service from the pull-down menu and enter your user name, password and host information. 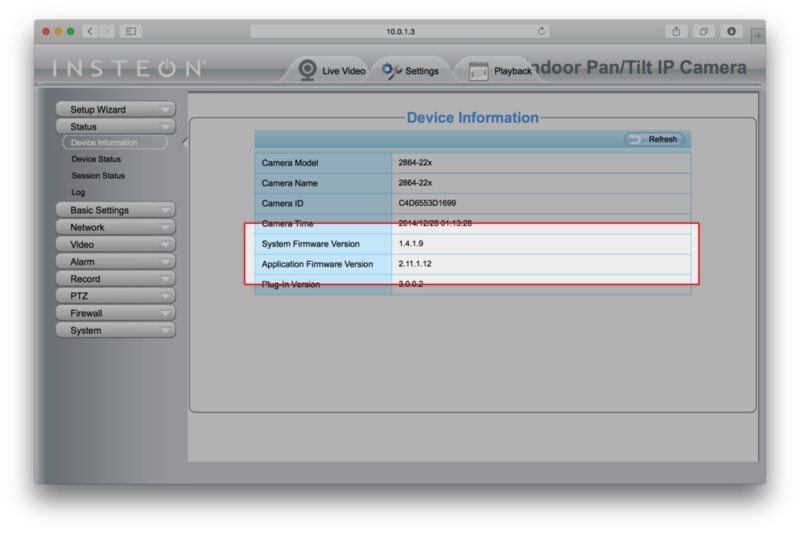 Follow the steps in this article to configure your Insteon Wi-Fi Camera for remote access. If the steps in this article do not match your specific router, consult your router's documentation. On your computer, open a browser and enter your router's IP address in the address bar. This address may be called Router IP Address or Default Gateway IP Address. If you do not know this information, follow the steps in this article to identify your router's IP address. Click OK to log in. Click the Add button located on the right side of the page. In the page that appears, enter the following information. The Local IP Address is the IP address of your Insteon Wi-Fi Camera. When ready, press Apply at the bottom of the page to save your changes. Test your connection by turning off Wi-Fi on your smartphone or tablet and attempt to control your WI-Fi Camera. If you can control your camera when on a cellular connection, then everything has been successfully configured. On the left sidebar, click NAT Setting. Click Virtual Server which has appeared beneath NAT Setting. When ready, press Finish at the bottom of the page to save your changes. When configuring an Insteon Wi-Fi Camera, you may occasionally encounter a message informing you that something went wrong while configuring your camera and to ensure that the ethernet cable is connected. There are several reasons why this may occur. Ensure that your Wi-Fi Camera is connected to a working power outlet and that the ethernet cable is firmly seated, even if you intend to use your camera with WI-Fi. It may be helpful to unplug and reinsert the ethernet cable. Try restarting your Insteon Wi-Fi Camera by unplugging its power cord. Wait about 30 seconds and then reconnect your camera to power. Ensure that your smartphone or tablet is connected to the same Wi-Fi Network as your Insteon Wi-Fi Camera. Confirm that your internet router and cable or DSL modem are connected to power and turned on. Learn how to identify your router and cable or DSL modem. Check that your Wi-Fi router is working by attempting to browse a website using another device or computer in your home. Try restarting your router and cable or DSL modem. When configuring an Insteon Wi-Fi Camera, you may occasionally encounter a message informing you that something went wrong while configuring the camera password. There are several reasons why this may occur. The Insteon app should properly restrict entry of passwords such that they do not contain any unsupported or invalid characters. If you are unable to resolve the password following the restrictions above, you can tap Leave Blank to proceed without a camera password. After setup is complete, you can change the password from Edit Camera. The Insteon app will update your camera's password and attempt to reconnect. If, after changing your camera's password, the Insteon app is unable to connect to your camera, attempt setup of your camera again. Enter the user name and new password chosen in step 2 above. If you receive an error informing you that the user name or password is incorrect, try using a blank password as it's possible the camera password was not updated. When configuring an Insteon Wi-Fi Camera, you may encounter an alert informing you that the Insteon app was unable to update or read you camera's Wi-Fi or network settings. There are several reasons why this may occur. Your home's internet router is not functioning properly. Ensure that your Wi-Fi Camera is connected to a working power outlet and that the ethernet cable is firmly seated. It may be helpful to unplug and reinsert the ethernet cable. Confirm that your internet router is connected to power and turned on. Learn how to Identify your router and cable or DSL modem. Ensure that your smartphone or tablet is connected to Wi-Fi. For setup to complete, your smartphone or tablet must be connected to the same Wi-Fi network to which your Wi-Fi camera is physically connected. If the Insteon app is unable to update your camera's Wi-Fi settings, you can elect to use ethernet instead of Wi-Fi. You can then use manually configure Wi-Fi settings using the camera's web interface. Once your camera is connected to your network using Wi-Fi, re-add the camera as an already-configured camera. Your camera's network settings are automatically configured for you when you add an Insteon Wi-Fi Camera. If you would prefer to configure your camera prior to adding it to the Insteon app, use your camera's web browser interface. 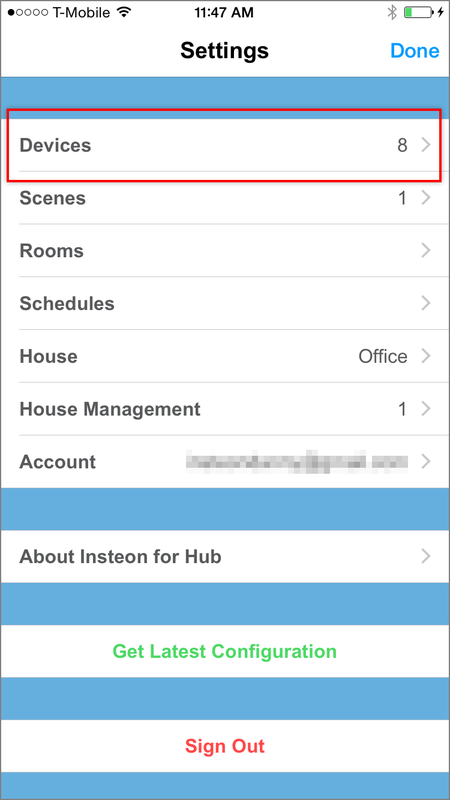 If you have already added your camera to the Insteon app, you should remove it before you make your changes. After you have completed your changes, re-add the camera as an already-configured Wi-Fi camera. Using Camera Tool, locate your camera on your network. Double click your camera in the list to open its web browser interface. Enter your camera's user name and password and click Login when ready. From the left sidebar, click Network and then IP Configuration. Configure your network settings as desired. When ready, click Save. From the left sidebar, click Port. Configure your port settings as desired. When ready, click Save. When configuring Insteon Wi-Fi Cameras, you may be presented with a message stating that you need to configure port forwarding on your router to see your camera when you are away from home. There are several reasons why this may occur. 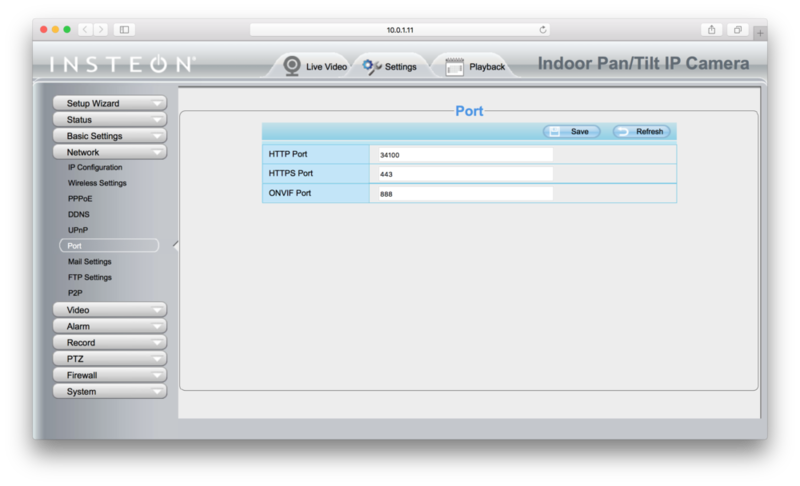 Standard-definition Insteon Wi-Fi Cameras require port forwarding for remote access. Learn how to configure port forwarding for remote access. Your Insteon HD Wi-Fi Camera supports Automatic Remote Access but network conditions have prevented the feature from functioning as expected. Learn more about troubleshooting Automatic Remote Access. When adding an Insteon HD Wi-Fi Camera that has already been configured with a user name and password, the Insteon app does not alter any camera settings or attempt to configure Automatic Remote Access. 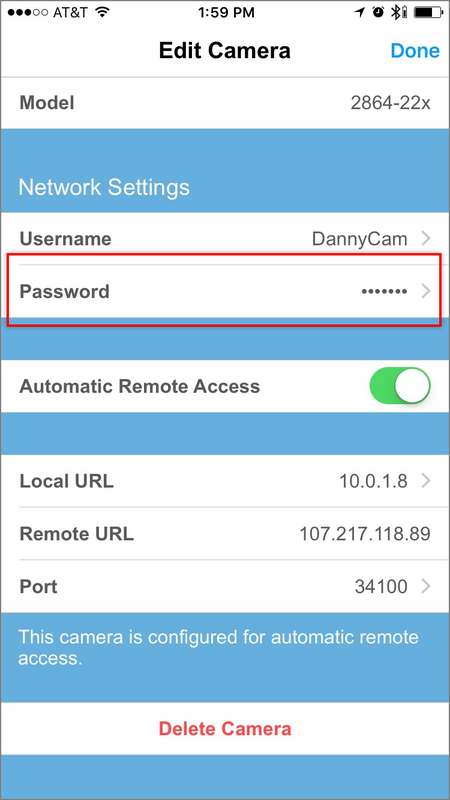 Follow the steps in this article If you would like to enable Automatic Remote Access. Port forwarding is a process involving your home's router that allows you to access devices within your home when you are not using your home's Wi-Fi network. Your home router creates a barrier that prevents your smartphone from talking directly to your Insteon Wi-Fi cameras. Port forwarding opens a door in your router's firewall for a specific function, in this case, access to your Wi-Fi cameras. This procedure needs to be performed for each Wi-Fi camera that you intend to access from outside your home's Wi-Fi network. Insteon Support has compiled instructions that should help you configure routers that you are likely to have in your home. Because every router is different and manufacturers are constantly making changes, the steps outlined in these articles may not perfectly match the steps required for your particular router. If you don't see your router brand listed or if you feel uncomfortable with the instructions, contact Insteon Support for further assistance. In addition to configuring your camera and router for port forwarding, you will need to configure a Dynamic DNS Service to ensure reliable access to your camera when you are away from home. Learn more about Dynamic DNS Services and Insteon Wi-Fi Cameras by reading this article. When configuring an Insteon HD Wi-Fi Camera, you may encounter an alert stating that there was an issue configuring automatic remote access. There are several reasons why this may occur. Your Insteon HD Wi-Fi Camera may require a firmware update. Learn more about updating your Wi-Fi Camera's firmware. 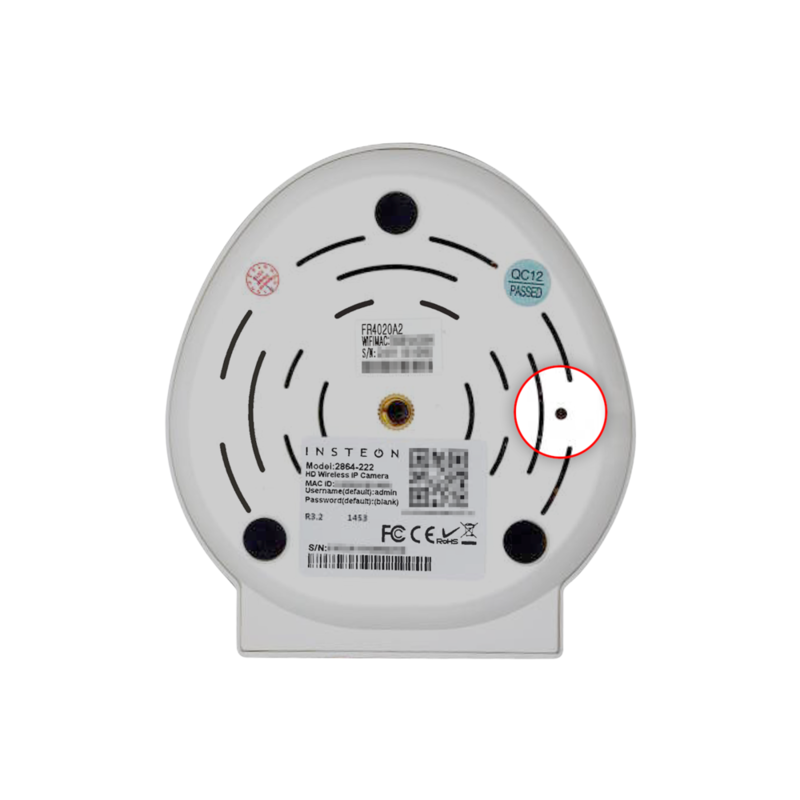 Automatic Remote Access is not available on standard-definition Insteon Wi-Fi Cameras, standard-definition Insteon Outdoor Wi-Fi Cameras or Insteon HD Outdoor Wi-Fi Cameras that do not have a UID number printed on the rear of the camera housing. Check that your internet connection is working by attempting to browse to a website using another device or computer in your home. If your home has more than one router, connect Insteon Wi-Fi Camera to the router connected directly to your cable or DSL modem. If your Internet Service Provider has issued you a combined modem and router, connect Insteon Wi-Fi Camera to this device and attempt setup again. If you believe that your router is preventing Automatic Remote Access, you can try updating your router's firmware. Follow the instructions provided by your router manufacture. If you are attempting to setup an Insteon Wi-Fi Camera in a corporate or school setting, your IT department may have blocked the ports necessary for Automatic Remote Access to function. Contact your system administrator if you believe this to be the case. If you are unable to alter your networking environment to enable Automatic Remote Access, you can still configure manual remote access using port forwarding. You can enable Automatic Remote Access after adding your Insteon Wi-Fi Camera from camera settings. Scroll to the bottom of the camera settings and tap the switch to enable Automatic Remote Access. Your camera will attempt to configure Automatic Remote Access. If your camera is unable to configure Automatic Remote Access, you will have to configure remote access manually using port forwarding on your router. When configuring an Insteon Wi-Fi Camera to use Wi-Fi, you may encounter an alert informing you that the ethernet cable is still connected to your camera. Insteon Wi-Fi Cameras can use ethernet or Wi-Fi to connect to your network, but not both simultaneously. Tap Next to begin searching for your Insteon Wi-Fi Camera. Your camera will restart. Insteon HD Cameras restart in about 30 seconds. Insteon SD Cameras can take up to 2 minutes to restart. When setting up an Insteon Wi-Fi Camera, you may encounter an alert informing you to connect to your home's Wi-Fi network and attempt setup again. If you are attempting to add a camera that is not on your local Wi-Fi network using the Add a Remote Camera feature, you must be connected to a Wi-Fi network before proceeding. 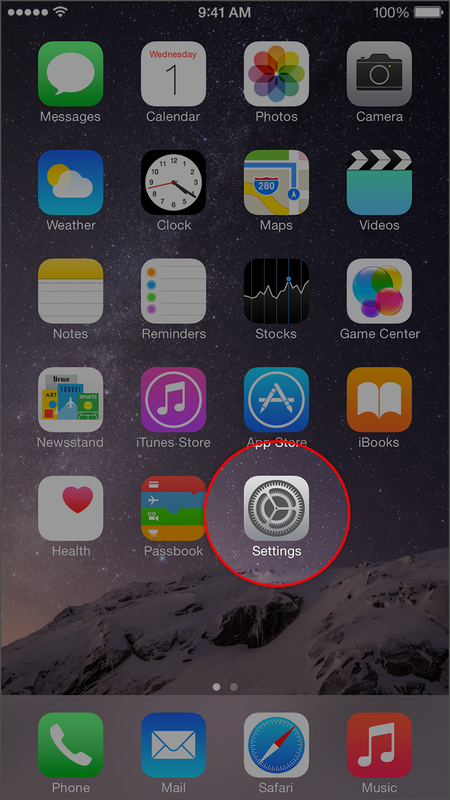 Tap the Home button on your iPhone, iPad or iPod touch and navigate to settings. 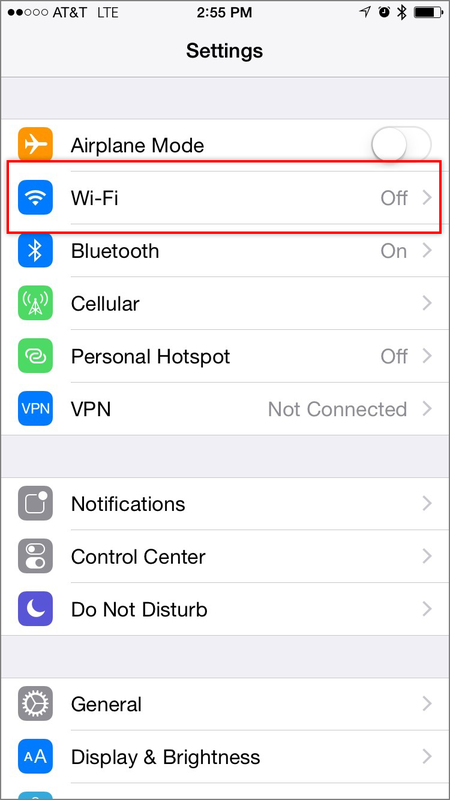 Ensure Wi-Fi is on and tap your Wi-Fi network. 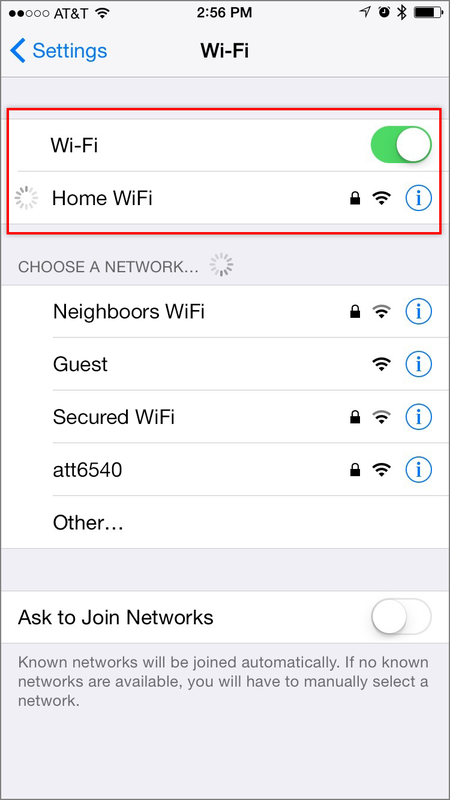 If you have more than one Wi-Fi router, it is important to join the Wi-Fi network created by the router into which your Insteon Wi-Fi camera is connected. Learn more about identifying your home's Wi-Fi router. 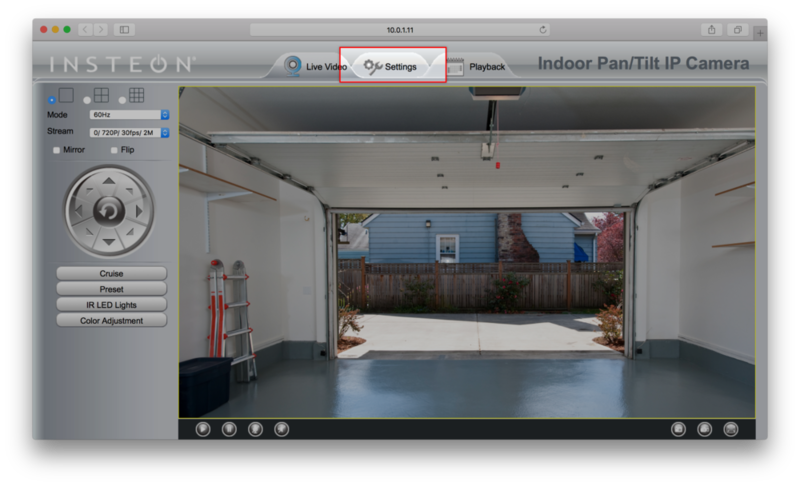 Tap the Home button on your iPhone, iPad or iPod touch and return to the Insteon app to resume camera setup. If you are unable to connect to your Insteon Wi-Fi Camera, have forgotten your camera's user name and or password or otherwise wish to reset your Wi-Fi Camera to factory settings with the default user name and password. Connect your camera to your router using an ethernet cable. Ensure your camera is connected to power. Use a straightened paperclip to press and hold the recessed reset button for 10 seconds. If your camera was connected to power less than 60 seconds prior to attempting a factory reset, you may need to wait for the camera to completely start up before you can attempt the factory reset. On Insteon Wi-Fi Cameras and Insteon HD Wi-Fi Cameras, the reset button is located on the bottom of the camera housing. 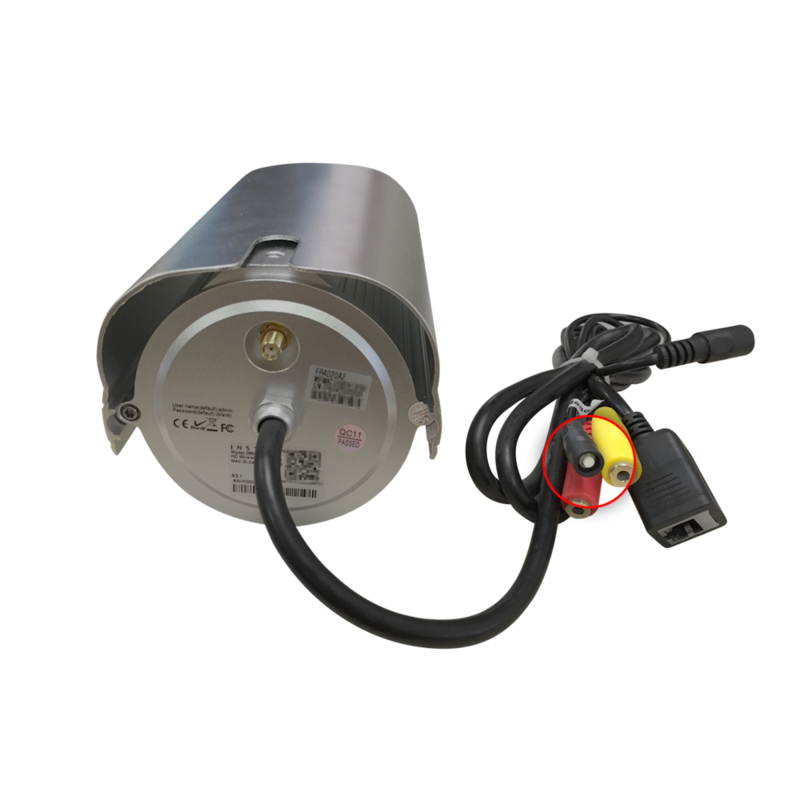 On Insteon Outdoor Wi-Fi Cameras and Insteon HD Outdoor Wi-Fi Cameras, the reset button is located at the end of the combined power and data cable. Automatic Remote Access settings. After resetting your camera, Automatic Remote Access will default to enabled. 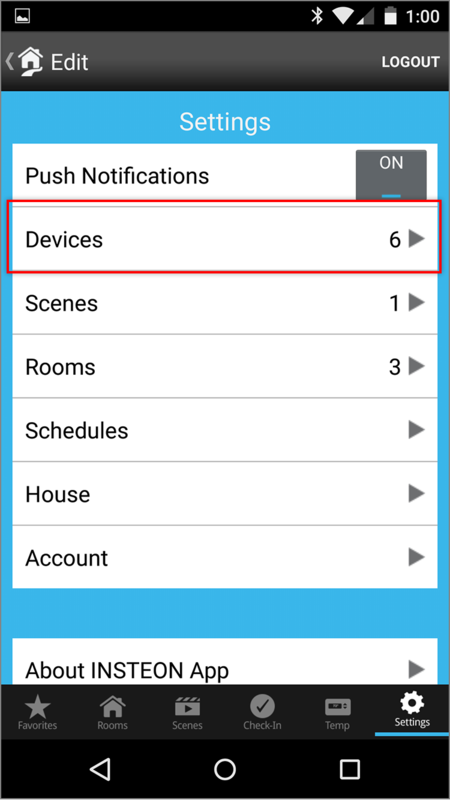 When initially setting up your Insteon Wi-Fi Camera, you may encounter a message informing you that the app was unable to locate any cameras on your network. There are several reasons why this may occur. If you see a list already-configured cameras, ensure that you are connected to the correct Wi-Fi network. The Insteon app will display any Insteon cameras found on the connected Wi-Fi network, even if those cameras are already configured. Ensure that your Insteon Wi-Fi Camera is connected to a working power outlet and that the ethernet cable is firmly seated. It may be helpful to unplug and reinsert the ethernet cable. If your the LEDs above the ethernet port on the rear of the camera are not illuminated, your Wi-Fi Camera is not connected to a functioning ethernet port on your router. Indoor Insteon Wi-Fi Cameras should initiate a motor test about 10 to 30 seconds after connecting to power. Check that your Wi-Fi router is working by attempting to browse to a website using another device or computer in your home. If none of the above steps resolved your issue, follow the steps outlined in this article to perform a factory reset. Use the table below to identify which web browser can be used to control and configure Insteon Wi-Fi Cameras. Not all cameras are compatible with all web browsers on all platforms. Insteon Wi-Fi Cameras are not compatible with Windows 2000, Windows XP or Windows Vista. 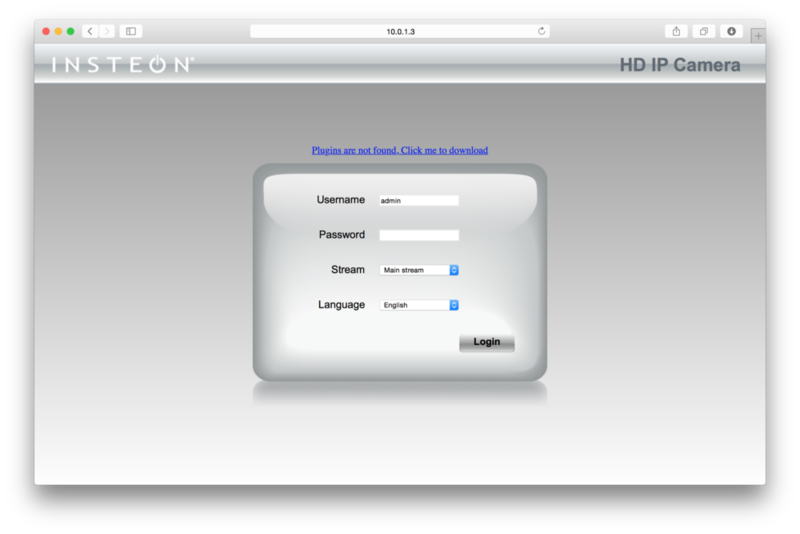 Follow the instructions in this article to update the System Firmware and Application Firmware on your Insteon HD WiFi Camera. The steps in this article apply to Insteon HD WiFi Camera and Insteon Outdoor HD WiFi Camera. For instructions on how to update your SD WiFi Camera firmware, see Update your SD WiFi Camera System Firmware. Follow the instructions in Identify your WiFi Camera Firmware Version to determine if your WiFi Camera requires updating. This update requires Insteon HD Wi-Fi Cameras revision 4.0 or later. Do not install this update on earlier revision cameras. 2. Open the IP Camera tool and wait for it to identify the Insteon WiFi Camera that you wish to update. 3. When the desired Camera appears, double-click to select it in the list. This should launch your computer’s default web browser and take you to a login page for the camera. 4. Enter your Camera’s user name and password. If you never changed the user name or password, the default user name is “admin” and the default password is blank. 9. Click the Backup button. A file will download to your computer named configs.bin. This file contains all of the settings and configuration for your camera and will be used to restore your preferences after the firmware update. 11. 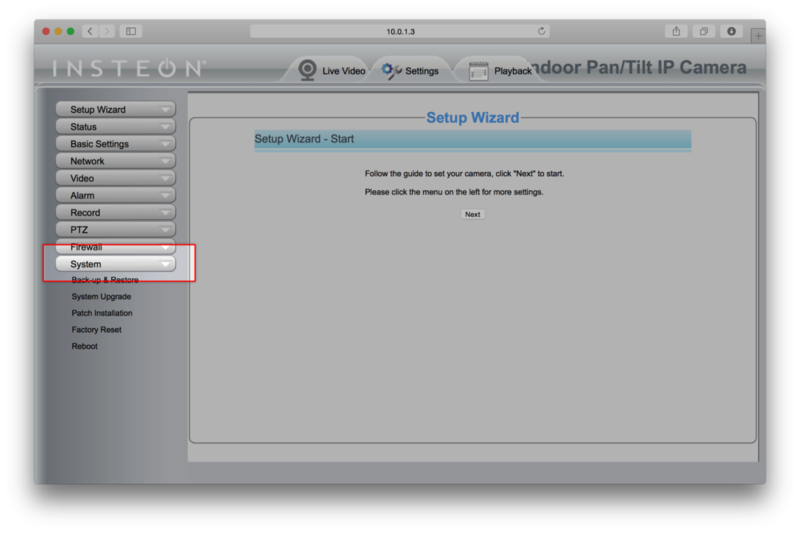 Click the Choose File button and select the firmware file downloaded from insteon.com at the beginning of these instructions. 12. Click the System Upgrade button. The upgrade process will take about 3 minutes during which time your camera will restart. Do not unplug your camera or refresh your browser during this time. When the upgrade is complete, your browser will refresh automatically. The web user interface is updated separately from the camera system firmware but the steps are identical. 3. 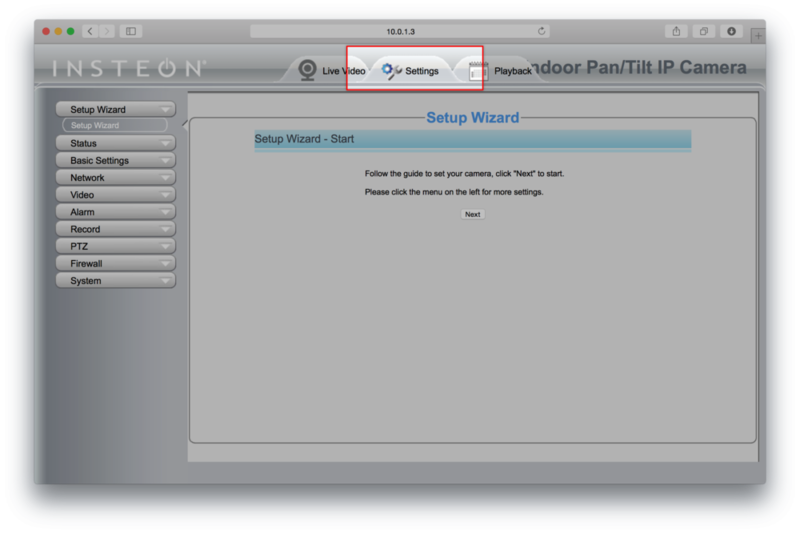 Click the Choose File button and select the user interface file downloaded from insteon.com at the beginning of these instructions. 4. Click the System Upgrade button. The upgrade process will take about 3 minutes during which time your camera will restart. Do not unplug your camera or refresh your browser during this time. When the upgrade is complete, your browser will refresh automatically. 4. Click the Submit button. The restore process will take about 1 minute during which time your camera will restart. Do not unplug your camera or refresh your browser during this time. When the restore is complete, your browser will refresh automatically. Use this article to properly identify the System Firmware and Application Firmware version on Insteon HD WiFi Camera or the Device Firmware and Device Web UI version on Insteon SD WiFi Camera. 1. Ensure that your Insteon WiFi Camera is powered on and connected to your network. If your camera has not yet been configured, connect your camera to power and to your router using the provided ethernet cable. 3. 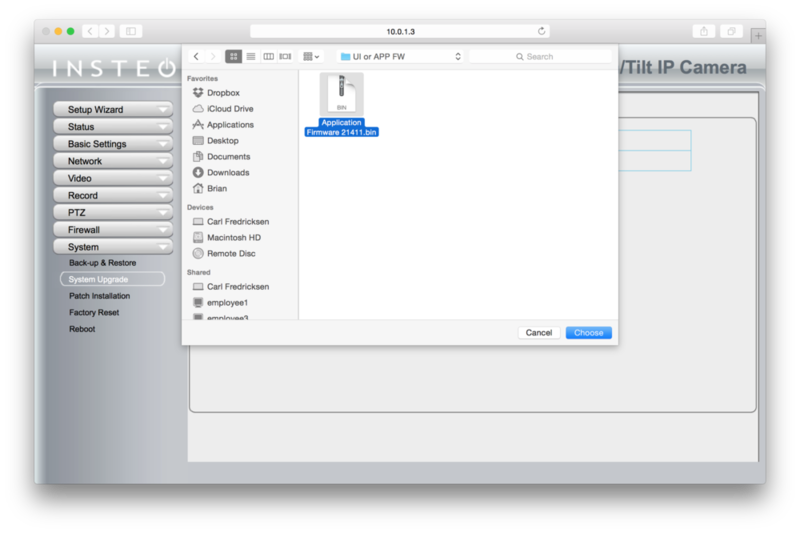 Open the IP Camera Tool; it may take several moments to find the WiFi Camera on your network. 5. Check the Firmware Version displayed against the current System Firmware version available. Check the Web UI Version against the current Application Firmware version available. A plug-in is required to view your HD WiFi Camera video in Internet Explorer. Use this article for instructions on how to install the HD WiFi Camera browser plug-in on Internet Explorer. 3. Follow the on-screen instructions to install the WiFi Camera Setup Plug-in.